1. The administration of justice during pre-Islamic period. 2. Justice through the prism of the Qur’an. 3. The journey of the Prophet Muhammad (SAWS) from tyranny to justice, the revival of the religion of the Prophet Abraham (AS). 4. The contribution of the Rightly Guided Caliphs to justice. 5. al-Qadi, the judge and the Law Court. 6. al-Hisbah, the observance of religious duties and socio-economic justice and its impact on Health Sciences. 8. Muslims’ judicial heritage, since the inception of Islam to date. 1844 discovered works on Islamic judicial system have been presented in chronological order with their thematic assessments. The work also discusses peace, equality, freedom and human dignity as the legal right of human beings. (Postage should not be charged on orders from the UK. If you would like to order this book from outside the UK, please email info@qaf.org.uk to enquire about postage costs). "In these days of heightened Islamophobia and misunderstanding between those who follow different faiths – or no faiths at all – a book such as this, written by a British Muslim scholar, with its inspiring dedication to all those who wish to promote justice, peace and human dignity in the world, is heartwarming. Dr Surty has produced a work which is comprehensive in its scope, a veritable encyclopedia about the history of the Islamic Judicial system. He presents almost two thousand works on Islamic law, in chronological order, beginning in the earliest days of Islam and stretching to the modern era. In the process, he discussed a wide range of themes and legal cases, citing appropriate narratives from key texts. Here we have a lifetime of research, irradiated by a spirit of genuine piety and goodwill to humanity, distilled into a single volume." Professor Carole Hillenbrand, O.B.E., F.B.A. "This is the product of a life devoted to the study of Allah’s revelation and its propagation and that by a man whose knowledge of all things Islamic is as pronounced as his protruding love for religion. 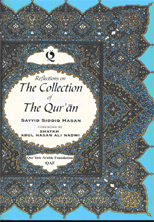 This is a monumental work of fifty years of research and a unique discovery of 1844 works on the Islamic judicial system. The literary and historical analysis provide exact meanings for terms like ‘Adl, (Justice), zulm (tyranny), fasad (corruption), haqq (truth), taqwa (peity) and ihsan (Godliness/kindness). Most relevant is a discussion of the Constitution of al-Madinah. 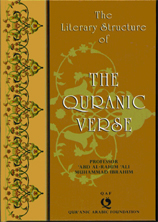 The book terminates with the sections on the Four Rightly Guided Caliphs’ contribution to the development of judicial principles and practice, the set up of Islamic courts of law, the office of the Qadi, institutions like al-hisba (market inspection) and al-mazalim (ombudsman) and the Islamic legal heritage as appreciated today. Sprinkled throughout are altogether 58 historical court cases." "Dr Surty began his work on the 9th century scholar al-Khassaf’s manuscript Adab al-Qadi more than 40 years ago with his PhD thesis at SOAS, London. 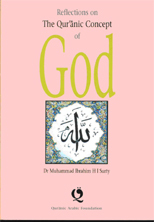 Dr Surty has devoted most of his academic life to collecting material and finally producing this monumental work from an authentic Muslim perspective. 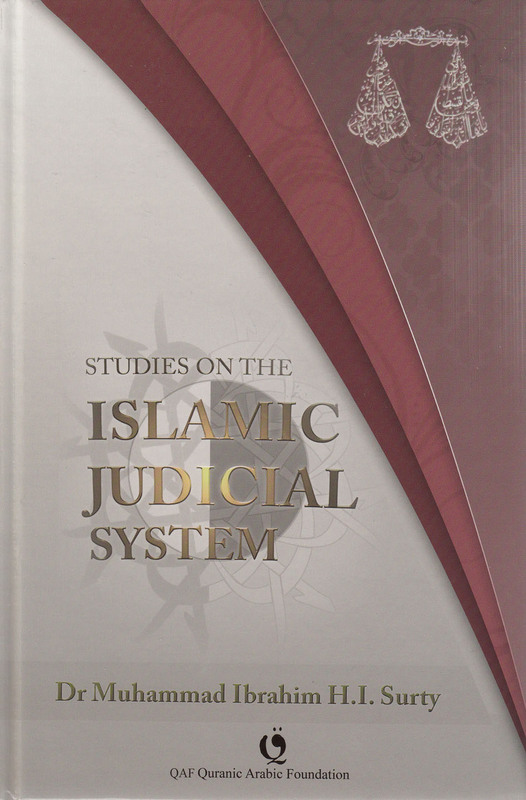 This perceptive study is not only encyclopaedic in its treatment and scope, but aims to provide the most rigorous, erudite and inspiring contribution to the field of Islamic judicial systems ever written in the English language. The attention to detail within this 800 page volume is second to none and provides an excellent opportunity for every reader to learn from the amazing amount of detailed information interlaced with extensive documentation followed by a comprehensive bibliography. This impressive work is highly recommended to the world of scholarship in general, and students of Islamic thought in particular, for further study and reflection." Dr M Manazir Ahsan, M.B.E. 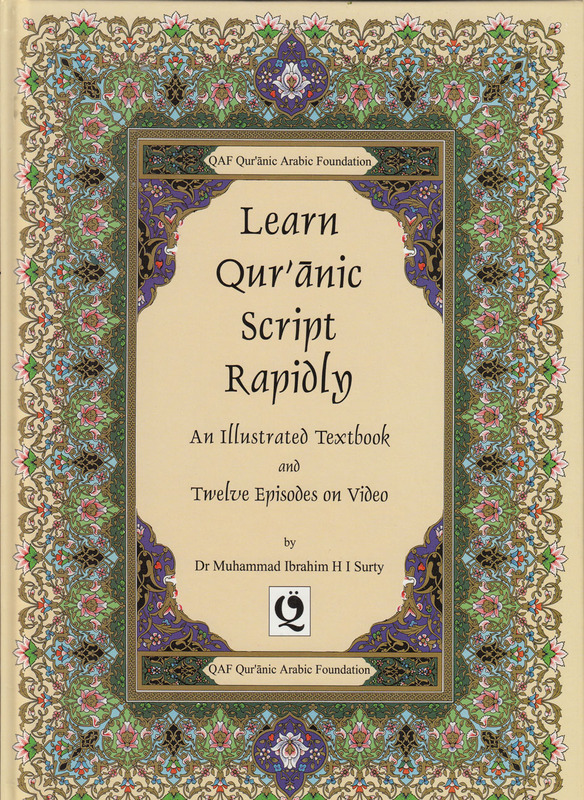 "This is an outstanding work of Islamic scholarship which has no equal in English. In this monumental book Dr Surty takes us on an engaging and fascinating journey into the history and practice of Islamic Justice. The author, an internationally renowned expert on Islam, does not only traces the development of this important area of Islam but also provides a precise and in-depth account for the reality of Islamic judicial system. Researchers, educators and students will benefit greatly from this precise and academically accurate book."